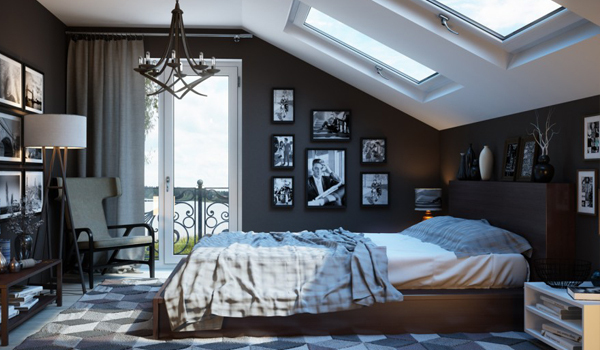 Remember that feeling of being in a cozy and beautiful bedroom? Then all you have to do is lie on the soft bed, get the remote to turn on the TV and just ring the counter for some meals. You see a pretty curtain that when you open it up, the beauty of a pool or of a garden greets you. Yes, sleeping in a hotel gives us that pleasurable and comfortable feeling. That is why, sometimes we just take ride to a hotel and spend the night there. All the comfort and the well-designed space is all worth it. But in truth, you really don’t have to spend in order to get all the luxuries of sleeping in a hotel. You can always get that kind of aura in your very own bedroom. And you can do that in ten affordable and easy ways. Al you need is a little budget, creative, motivation and ideas. So, we are going to give you some tips on how to get a hotel-like feel to your bedroom. I know most of us had been wanting to have one! 1. Decide on your color scheme. You know how hotels are. The color of every bedroom depends on the theme they have like if they are near the beach, they try to adapt the colors of nature. Others want to give that luxurious feel with metallic colors of gold and silver. Still others stick to modern colors while some have fun colors in them. Now, you have decide what feel you want in your bedroom. 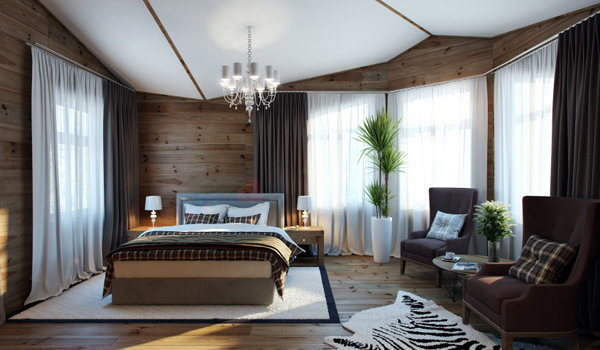 Your bedroom’s aura can be greatly affected by the colors you choose. And when you start creating your color scheme, remember that you are achieving a hotel-like space. 2. Let the bed take center stage. I know you have noticed that whenever you go to a hotel, it is the bed that is being highlighted. It doesn’t just look comfortable but it has beautiful mattresses and duvet sets. There would be large comfy pillows and a comforter too. Get those for your bed and sleep like a queen with all the comfort you can get. And don’t forget to choose a pretty design for your bedding set. It can be plain, printed or with patterns. Your choice depends on the theme you want. 3. Divide into areas for varying functions. Another thing that I notice about hotels is that every room isn’t just intended for sleeping. There would be seats for reading, a working desk, a vanity with mirror, a bath and closet for grooming and others. So, no matter how small your bedroom is, divide your space for various functions depending on the activities you want to do in it. 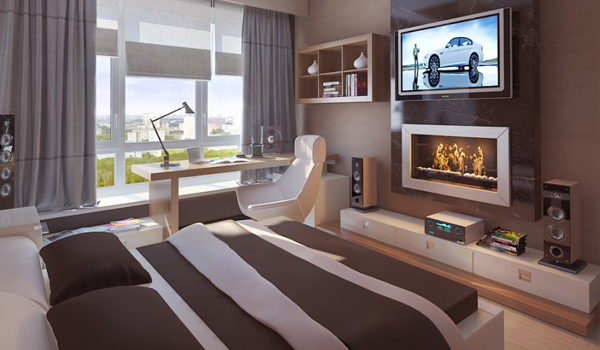 Of course, don’t forget to add a television because most hotel rooms are also for entertainment. 4. Add some luxe window treatments. Don’t just settle for cheap pre-made curtains. But if you find one that fits your bedroom then go for it. But then again, it is always better to have a custom made curtain. Buy a fabric that you like or that would match your bedding and sew a curtain. If you can’t sew, hire a seamstress to make a beautiful curtain. There are different curtain designs and it would be nice if you choose a design that will bring in the luxurious of a hotel curtain! Choose the good type of fabrics too. 5. Incorporate a space for late night snacks. When you are in a hotel, you don’t have to go out just to get snacks (instead if you are buying something). Do the same to your bedroom. Allocate a space for midnight snacking. It could be a refrigerator or a station where you can make coffee and other beverages. You can also add a cabinet where you will store some snacks which can be a hanging storage above the sink or just one space in your cabinet. And yes, you can also have a mini-bar right inside your bedroom. You don’t have to go to the kitchen to get food. 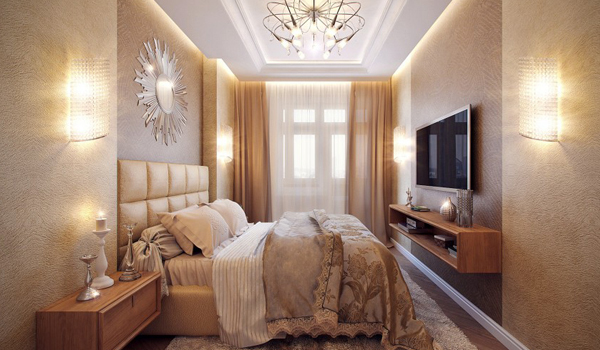 Lighting is imperative for every space but lavish lighting creates a dramatic feel to any room. Change outdated light designs into beautiful sculptural lightings that come in different sizes, forms and shapes. There are lovely chandeliers or pendant lights that you can use for ambient lighting. Also add table lamps on the two sides of the bed. 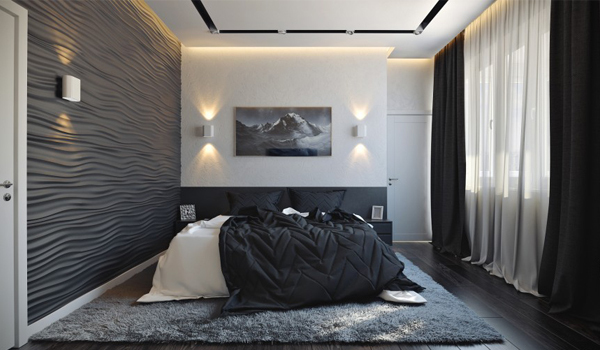 If you have more budget, let an electrician put up some wall sconces near the bed or on other parts of the walls. 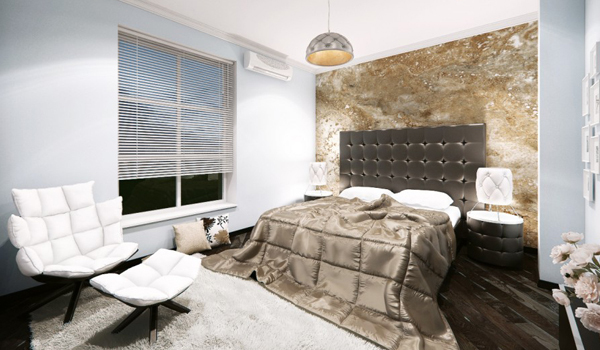 And the dimmers are important too for this will add drama to your bedroom. Don’t forget to add lights to the master bathroom too. 7. Do not forget natural light. Hotels always make sure that their guests could get natural light while in their rooms. The curtains would be opened to a glass window. Sometimes, there would even be a balcony. In your case, if you don’t have a balcony, just open your curtains during the day so that natural light can flood in. You can also motorize window treatments which will even give you more like you are in a luxury hotel. 8. Achieve a layered look. Do this simply by adding area rugs on top of your hard flooring. Then add some elegant trims to your throw pillows. You can even add trims to your furniture too. If you have an old chair, why not try putting some nail head borders on them to give it a more luxurious look. When we say layered look, you just have to avoid the plain feel and add some glamorous designs on them. And you don’t have to spend much for this. 9. Flowers and plants are key. A hotel room always have that fresh feel from flowers and plants. So, do the same to your bedroom. Bring in a potted plant and place it in between two seats or in a corner. Then add flowers to your coffee table for the seating area. You will feel the freshness of your space if you do this. 10. Give a spa-feel to your bathroom. Your bedroom will be like that of a hotel if it has a bathroom in it. You don’t have to buy a Jacuzzi if you don’t have a budget. But if you have and there is enough space, then get one! A glass shower enclosure will also be great. Add large mirrors, wall sconces and other decorative items. You can even change cabinet handles with beautiful metallic and decorative ones for a more luxurious look. So, what if your bedroom doesn’t have a bathroom? Well, skip number 10. 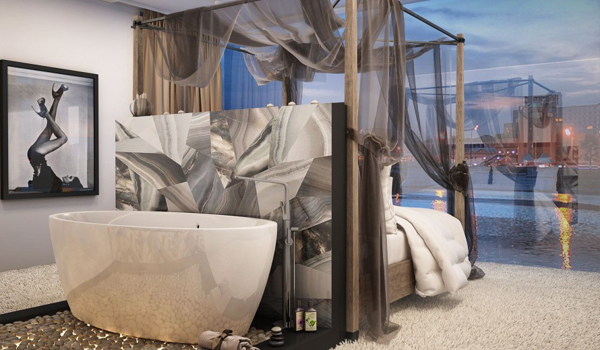 Don’t worry, you can still give a hotel feel to your bedroom even without a bathroom. Easy or not? Well, I guess it is easy. All you have to do is to be fully motivated to give your bedroom this kind of transformation. You would be spending time, money and effort to get this look unless you will just hire someone to do the job for you. And by the way, don’t forget to make the space personal and unique. Yes, that is applicable too even for hotel-like bedroom because this will always be your private personal space.